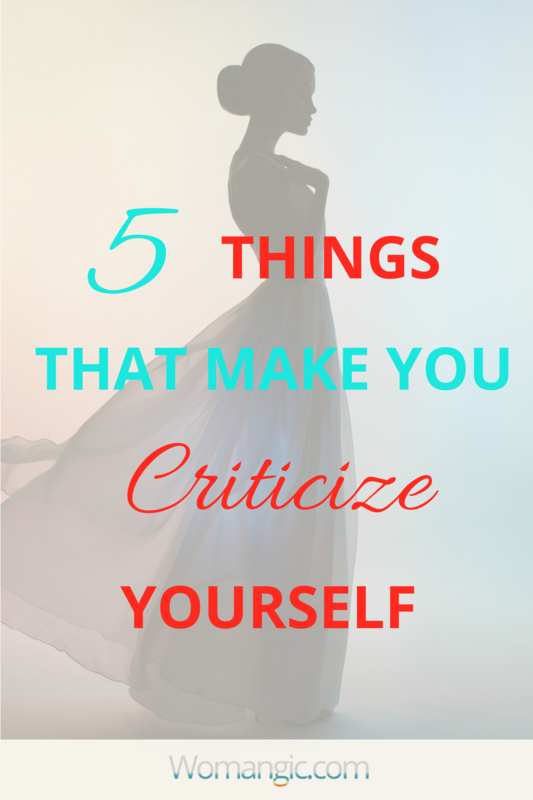 Criticizing your self can be a big thing. Isn’t it an evil for most of our problems? Let’s say you got into a fight with someone. What does really make you feel pain? When you feel bad about yourself. What sometimes helps us to feel better is to blame the other person and be angry, but it is not the way too, isn’t it? Every time I am angry or really irritated about something, I ask myself, why does it touch me so much? Someone screaming: - Hey, Kate. Kaaaateeee! Wake up. This is enough. (This is where I usually physically stop if I move). Wake up from the illusion of anyone’s fault. Here is the thing. Life is happening for you, remember? - What do you really hate about yourself in this case...? - The voice stumbles me with too personal, too real question. I don’t want to answer, - How does it make you feel? No need to continue, I get it now. So does it hurts so much because it makes me that I am... I get it. And this is the moment when everything changes. As soon as I stop saying myself that I am bad, I am able to think clearly. I am able to feel calm, to find the strength to solve the problem or conflict I have. So let’s see what can cause self-criticism on a very basic level and how we can start practicing more self-acceptance on a daily basis. What happens to us just triggers the belief we already have. The interesting thing about belief is that they can go into a sleeping mode. It's like a driving skill for times when you don't have a car. You learned how to drive, you know how to do it. And then let's say you don't use it for a long while. Will you think every day: "Oh... by the way I know how to drive a car!"? You probably won't be even aware of it. Until you sit in front of a wheel and you're about to drive again. Same works with our beliefs. We often don't even know we have them until certain behavior or situation triggers us to feel a certain way. My point here is simple: we feel the certain way not because of any situation, but because of the negative belief we already had but wasn't aware of. It comes to non-acceptance. As for me, the world non-acceptance can be a little bit too confusing sometimes. What does it mean for you not to accept something? I had this story with sensitivity, It seemed to me that it plays against me all the time! I am a very sensitive person and obviously, sometimes it brings inconveniences. What I wasn't aware of is why I have it in the first place and what glory it brings to my life. Simply because I was too busy rejecting and denying it... All my energy went on trying to be LESS sensitive (which clearly didn't work :). I didn't have any energy left to see anything good about it. And this is why I include this point here and I think it is very important. When we feel like we better haven't had some qualities, every time when the situation is slightly stressful, we will blame it all on that. Whatever pain I felt I used to blame it on being too sensitive. It was a very easy path to fall into criticizing and blaming myself. As humans, we have an amazing natural response (especially in a stressful situation) to associate any situation with something that happened with us in the past. As the result, we judge the situation according to emotions we experienced in the past. Let's say your partner told you he is not happy about something you did. And you automatically feel enormous pain, self-doubt, you feel judged. While your partner just told you his opinion without any intention to judge, your dad used to criticize you all the time and made you feel low. So every time someone close tells you something he/she might misunderstand or dislike, you feel beyond emotional about a small issue. If you have any similar experiences it is important to clear the energy that might be stuck in the past. Even a 5-minute meditation can help to unfold what you don't want to keep in your mind anymore. It's a big question every one of us has to ask ourselves at some point. Whose voice do you hear when you criticize yourself in a certain way? Your mom, dad or maybe your grandmother...? Is that really your own belief? As children, we didn't differentiate our own worldview with the worldview of our family. We might feel that we were different, felt like we didn't belong, but we rarely said out loud in our head: "This is the games my family is playing, I know for sure what is true and I won't play them anymore..." We rarely said that because growing up we live our family's assumptions and unconsciously perceive them as true. They become a part of us. But how we can differentiate pressure from the outside from our truth? I feel like the answer is very simple - define our own truth. What helps with that? I believe mindfulness, meditation is about looking for our own truth. To listen to your own voice you have to stay silent, you have to find your own sacral, calm space. It doesn't have to be anything specific, but some kind of trigger that helps you to feel more connected to yourself, more alive. Trigger that helps you to restore your balance. It could be anything. For example, my trigger is one specific meditative song. It's called White Tara by Deva Premal. When I feel like I am losing myself, I play the song and it plays the trick. I connect with a part of me that knows the answers, I connect with my truth. You can choose similar trigger for yourself. There is no need to say that we live in a world of information. This is such an advantage and bliss. Often we struggle because of the amount of information we have. We look at people who told us what to do and feel bad that we don't manage to do it as well. We look at someone we admire and assume that they don't struggle with what we suffer from. We assume role models we follow don't have problems. So when we do have problems, worries, doubts, we say ourselves: "They made it because they don't have problems that I have... How will I pull it off...? My life isn't that perfect..."
We don't understand what we want, we don't notice what we're good at, but often compare, because images of people's success around us become louder and more visible to us than the uniqueness of our personality. We start to criticize ourselves because we don't match "5 qualities of successful people". As important as it is to develop a different kind of skills, you have to respect and acknowledge your unique talents. Before you learn from someone or compare yourself with someone, ask yourself: "What are my values and is this person has the same values? Does he/she comes from a place of heart and integrity?" If yes, that's great. But still, remember to filter everything and choose only things that truly elevates you and help you grow. Even a hard feedback can help you grow as soon as it is not personal and helps you acknowledge things you are not aware of.